Students are often tested to evaluate their academic knowledge, but few Christian schools use objective measures to determine if a student has become a true disciple of Christ. Unfortunately, there are few organizations that provide metrics for measuring biblical knowledge, let alone any sort of comparative evaluation of students engaging in the Christian disciplines, forming a biblical worldview, or actually being impacted spiritually by the programs of the school. No matter whose statistics one chooses to believe, the inescapable truth is that the church is losing its young men and women at an alarming rate once they graduate from high school. The solution to this problem is simple, but increasingly difficult to solve with each passing year. Discipleship is what is needed for young people to truly identify who they are in Christ, so that they can begin to develop godly habits and ultimately grow in their knowledge, faith, and desire to serve the Lord and his Kingdom. Christian schools have some particular advantages in the area of discipleship; however, their full potential is, at the moment, untapped. 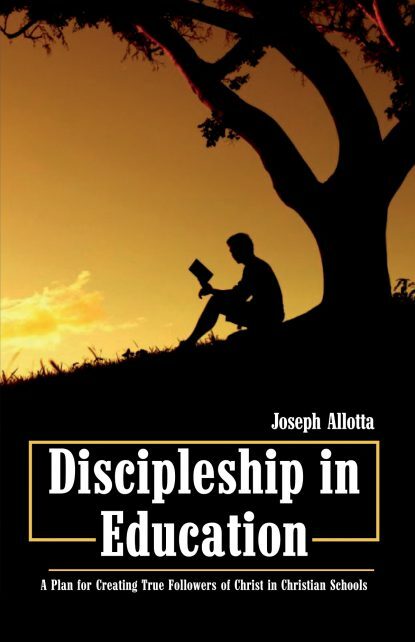 Discipleship in Education is about preparing everyone from administrators, teachers, pastors, and parents to be ready to unleash that potential.